Use a soccer ball and a stick on the ground to help alignment. Remember stick should be parallel to your target. Set-up from down the line view. Try to set up equipment the same, ball inside left heel (for right handed players). Half way down on downswing view. Again, student is working on weight shift to left side and pull down with left arm across his chest. Top of backswing view. Remember this is not full speed drill. I have tried to impress on this student to make a deep turn not lift up to turn behind the ball. You can feel this more in slow motion. Impact view from down the line. Notice how lower body has turned more than shoulders. 2. Hands forward, shaft leaning level with front of ball. 3. Club face square to target. 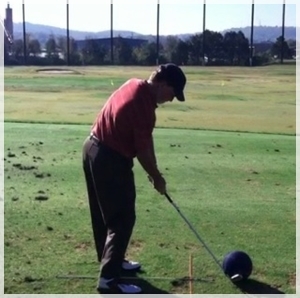 (you may forget to square club-face initially because you are focused on big body positions). 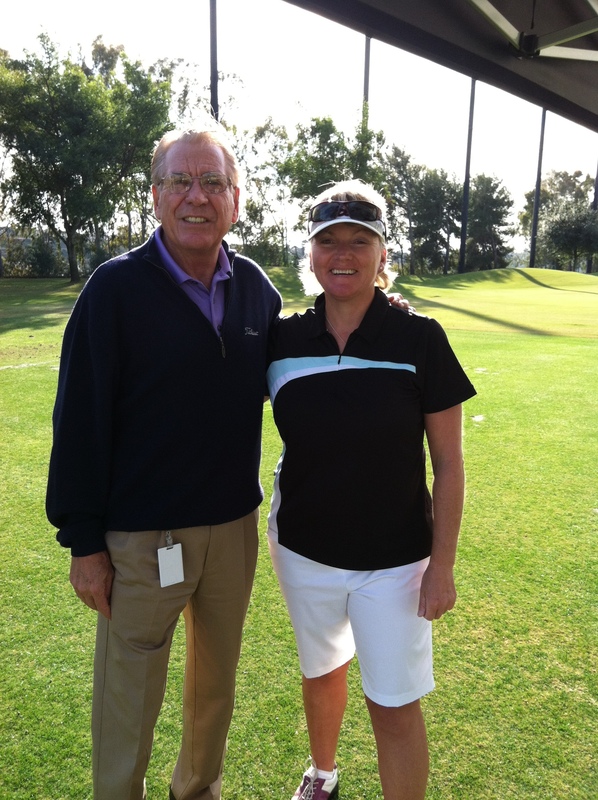 This entry was posted in golf, golf instruction, golf tips, sports, Uncategorized and tagged golf fitness, golf instruction, golf lessons, golf plane, golf practice, golf slice, golf tips. Bookmark the permalink.